Developed by NetEnt, Five Hand Deuces Wild is an online video poker game based on poker’s classic five-card draw. The game can be played for free or for real money, and is available in instant-play and download formats. Players are dealt a five card hand, and then need to hold or discard cards as they try to build the best hand according to the pay table displayed on the screen. It’s a single-player game, and features controls that are very similar to those found on online slots. 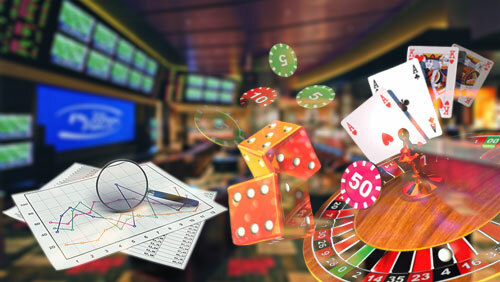 The format of the game allows players to implement basic strategies that could help them improve their hands, and it features a generous betting range, so players have some leeway when it comes to rolling high or low. Established in 1996 and based in Stockholm, Sweden, NetEnt has grown to become one of the world’s largest developers of online casino games. Its Five Hand Deuces Wild video poker software is developed to provide playing action that flows smoothly, and to produce fair results. The developer has also ensured that its software delivers HD graphics and ambient sound effects, and that all animations are seamless. The game interface has been designed for easy navigation. NetEnt released Five Hand Deuces Wild in two playing formats to ensure the video poker game is accessible to players with different requirements. The instant play format requires at least an active internet connection, but does not require a software download. The download format, which also requires an active internet connection, usually comes in the form of software that includes other games as well. When players have launched Five Hand Deuces Wild video poker, they need to set their bet value from the betting range before they start playing. The betting options range from 0.10 to 62.50. When players have set their bet using the controls near the bottom of the screen, they can place their first bet and receive a hand of five cards. The goal is to build the best possible hand, so players usually would need to hold some cards and discard others. To keep cards in their hand, Five Hand Deuces Wild players would need to click the Hold button below the relevant cards. Once they have clicked the Hold button below each of the cards they want to keep, they would need to click the Play button. Once they have clicked the Play button, the cards they have not held will be replaced with new cards. The resulting hand will then be checked against the pay table, and any winnings will be paid out. It must be noted that, in this video poker game, every two is Wild, which means it can be substituted for other cards. The software automatically holds any twos players receive in their first deal. The highest-paying hand is a Natural Royal Flush, and the lowest paying had is Three of a Kind. A built-in feature of Five Hand Deuces Wild video poker is the Gamble feature. Players can access the optional feature whenever they build a winning hand. The feature is a mini-game in which players need to try guess the colour of a card drawn from a virtual deck. If players make a correct guess, their winnings will be doubled.